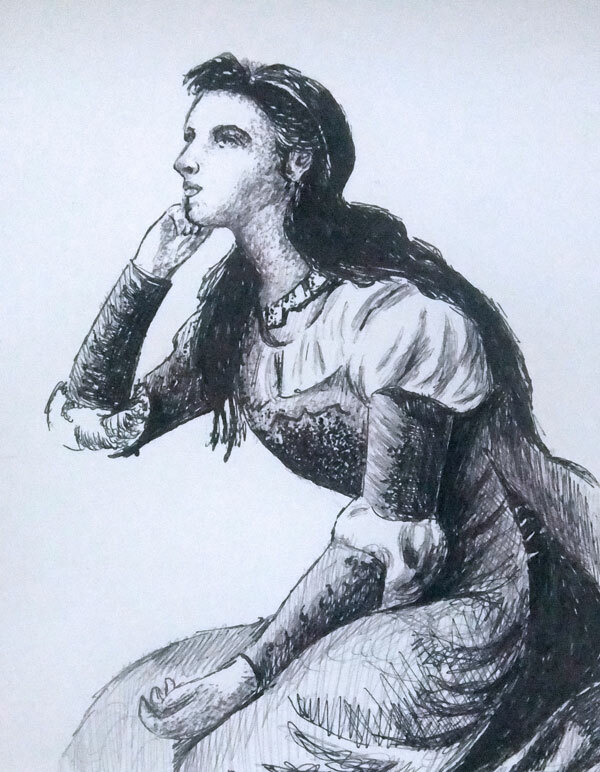 It’s a practice drawing based on the painting “Juliet” by Philip H. Calderon using a ballpoint pen and sign pens. My daughter made a minor change here, instead of her (Juliet) looking up in the sky (like in the original painting) she made her look across the distance. This entry was posted in Artwork and tagged a pen and ink drawing, Juliet, Philip H. Calderon on February 4, 2012 by Yami.